So first things first i wash my hair! I tend to do this every two days sometimes everyday it depends on how ive had my hair that day or if i think it looks oily. I don’t really have a specific shampoo and conditioner i abide by, i tend to use what my mothers bought (which is usually whats on offer). However if i did have to pick it would definitely be Aussie! Whenever its on offer i get the conditioner, it makes my hair feel so soft and shiny every time i use it! 1. Herbal Essences ‘ignite my color’ shampoo and condition is just perfect for keeping your hair color looking vibrant! With an amazing scent i use these two to keep my blonde hair looking shiny and bright. Maybe i’m the only one but especially shampoos you need to find the right one to keep your hair looking right and not dull. There even cuter in the small travel size! @ boots there all half price!! 2. Babyliss purple nano dry hair dryer is perfect for your holidays! I know i say that but it’s actually not a travel dryer, even though its small it has the same power as a normal hair dryer, amazing right? I got it for Christmas last year and its a little gem, my hair is medium for thickness and it only takes me 10 minutes to dry my hair with this, its perfect for achieving volume for that sleek finish. Before i style my hair whether i want it up or down, straight or curly, there are 4 things i use before and after using heat on my hair. For a lot of us we tend not to do this everyday, i certainly don’t but i do try to depending on how much time i have to get ready especially on a morning but these tools are perfect for making my hair go right and keeping it that way! 3. Im sure everyone has seen this backcombe brush everywhere by now, if not where have you been? If it’s not in your friend’s house or on TV you will of definitely of seen in them in the high street shop Primark. Not one of my friends dont have this brush i got it ages ago to help backcombe my hair and im sure i paid about £1.50 for it! Theres lots of versions on this brush on lots of online shops especially Ebay. If you havent got one, you need one. 4. This little box is just magic! It works wonders on giving your hair volume and umff. I use this powder every time i go out on a night, its perfect if you’re wanting your hair up in a quiff or half up, with a little help from the backcombre brush this powder helps your hair stay in place all night! 5. This is a very new product of mine, i only got it on saturday and ive used it everyday since. On wet hair after the bath i dab a little argan oil on my hands and spread it evenly into my hair. When its dry i can just feel how much softer it is, since ive used this i barely get any knots in my hair either. Argan oil provides nutrients to your hair and for just a £1 from Discount UK, i just had to buy it! (its not on the website). 6. 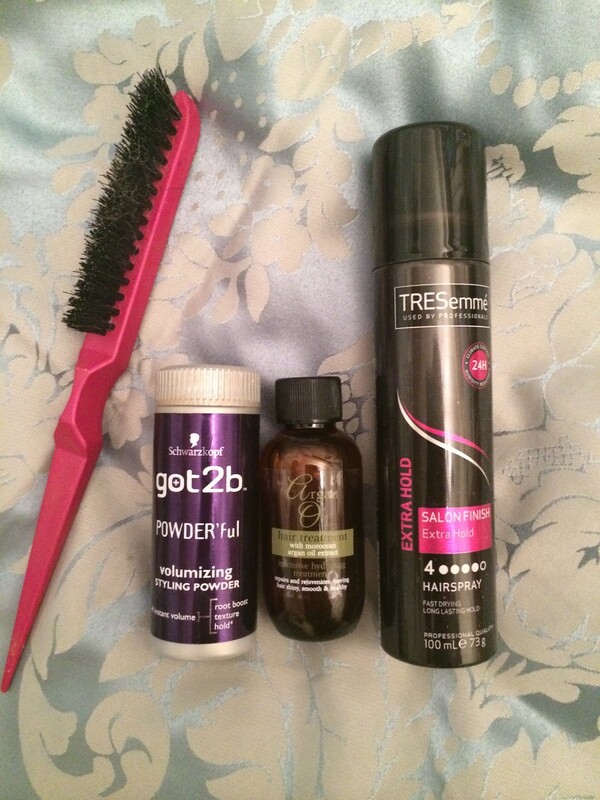 And finallyyy a girls essential… Hairspray! I got this in a set for christmas and its just great for keeping my hair in place alll day. It doesnt leave my hair hard or sticky either, which is a pet hate of mine with hairspray. Theres nothing more i can say for this product, it does what its meant to! We can never decide on how to style our hair! Probably most girls straighten their hair nearly everyday, i certainly do. 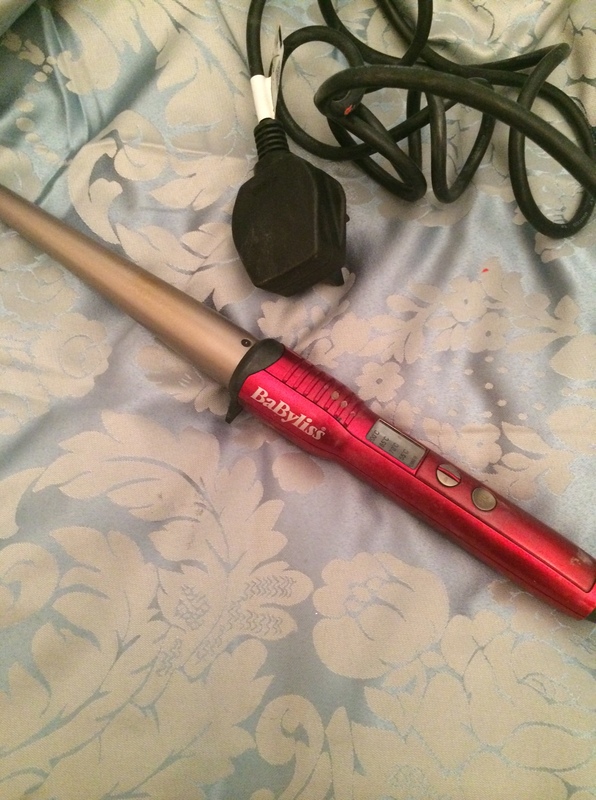 Here i have shown exactly what i use to curl and straighten my hair! Let me know what products you use or if you use the same. 7. 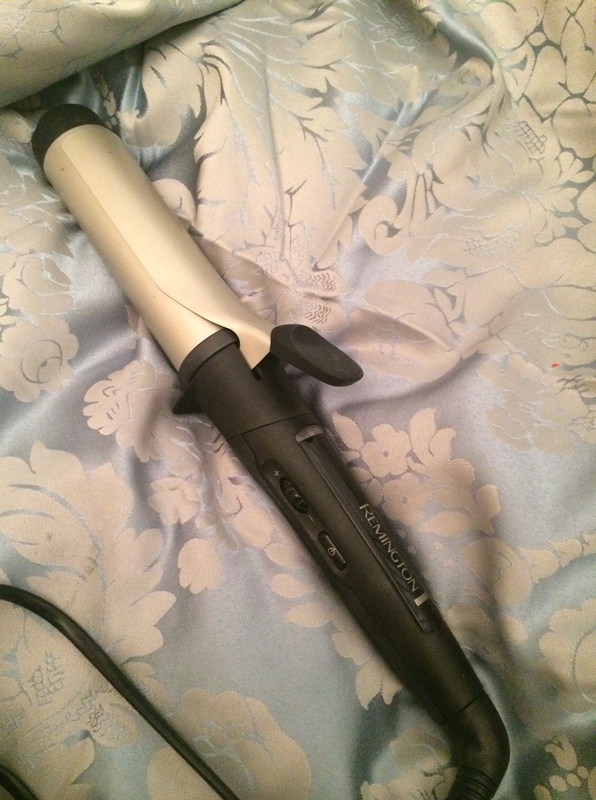 First we have the Babyliss curling wand pro! this is suchh a bargain for £25. I’ve had these for about 2-3 years now and they still are working fine. I curl my hair as well as my extensions and they always look so curly. As you can see by the photo the curls are tight and stay like this all night with lots of hairspray. 8. In contrast, if your wanting loose curls / wavy hair this product is just perfect. For £20 i cant simply complement this enough. At first i struggled to get the curls right and i decided not to use the grip which is what you would think to use. However the curls don’t stay in all night like the other curlers do but that’s not surprising with the other curlers being tight curls. Must buy ladies! 9. Before i made the big leap to GHD’s ive always had remington straighteners and over the years they have always been great for me. But in the last couple of years they seem to last me less than a year before they break. So i decide rather than paying 40-50 pound each year i decided why not by GHD’s for a little more than should last me much longer. Well these were a bargain! For just £80 from very i couldnt resist. They are so good on my hair and my hair doesnt seem dry and damaged. Every girl has a hair product essential and mine just has to be dry shampoo. I dont think i could live without this product now that i have found it. Sometimes i get oily hair everyday and sometimes its fine for two days. This prevents my hair from looking ‘greasy’ and keeps it looking nice and just washed. 10. 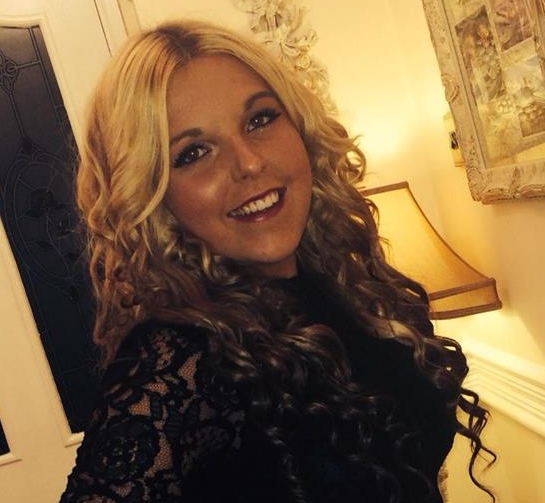 Lee Stratford dry shampoo i received this christmas and i loved it! I’ll be gutted when its al used up bit i dont think i would want to buy it again as its £5.49 for just 150ml… ouch! But it was a treat and i would recommend it if your wanting something that works quick. 11. In contrast this 400ml can is just £4.99 in most shops and the smell is lovely! I used this and ive just nearly every can batiste has brough out, i love to try them all they all have such lovely scents to make your hair smell and look fresh. The only thing i dont like is if you spray too much or too close some white powder can go on your roots, this takes away the oil but can make your roots look a little white.. so have to make sure its all soaked in. Apart from that i use it in between washes all the time. Thanks for viewing and reading, i hope any of these where useful! Let me know your daily hair products below! You’ve got some great products here! We have a lot of similar routines. One of my all-time favorite hair essentials is Moroccan Oil… it smells AMAZING and tames/protects your hair. I’ve been looking for a good curling wand, so I’ll definitely check out Babyliss. Thank you for sharing!